An independent commission on mobility pricing will consider all transportation options for usage charges to reduce traffic congestion and help support the cost of building new transportation infrastructure investments. TransLink’s Mayors’ Council announced this week that it had launched a commission to investigate alternatives to the existing bridge tolling system, which has been widely seen as unfair for those who live and work in the south of Fraser municipalities and use the Port Mann Bridge and Golden Ears Bridge. The commission will explore proven traditional mobility pricing systems in Singapore, Stockholm, and London as models to follow. It will also examine pricing systems based on fuel taxes, transit fares, insurance rates, and even ride share and taxi charges. Finally it will consult with stakeholders and the public to make an informed decision on recommendations. The Mayors’ Council will provide the paid 12-member commission, supported by a team of researchers and coordinators, with a $2.31 million budget for its research and policy development work. Allan Seckel, the CEO of Doctors of BC, has been named the commission’s chair while NDP MLA Joy MacPhail will be vice-chair. Three advisory panels representing local residents and users, community and business stakeholders, and representatives from peer agencies with experience in mobility pricing will provide strategic advice to the commission. To fund TransLink’s share of the region’s multi-billion dollar transit infrastructure improvement and expansion plans, including the Millennium Line’s Broadway extension and the new Surrey light rail transit network, new revenues sources such as mobility pricing are required. The commission is scheduled to issue a final report with its recommendations in spring 2018. 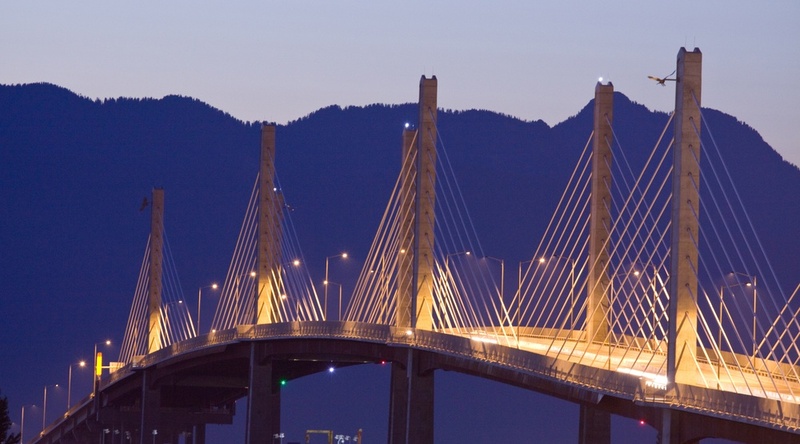 A survey conducted by the Mustel Group last fall found that most residents in the region supported some form of bridge tolling, with support being the highest in Vancouver – more than Surrey, Delta, and Langley – and lowest in the North Shore, Richmond, and Tsawwassen. During the recent provincial election campaign, all three parties had varying positions on the existing tolling system. The NDP vowed to abolish it, the Liberals promised to place a $500 annual cap, and the Greens said they would implement a “rational” tolling system. And with the uncertainty over who will form government, the Liberals’ plan of replacing the George Massey Tunnel with a $3.5-billion, 10-lane bridge funded by tolls could be in jeopardy. Pre-construction work has begun at the site of the new bridge, but no major construction contracts for the project have been signed.